We all use email every day. It’s hard to imagine work and personal life pre-email technology. And, while it serves many functions, it also tends to multiply in numbers–literally, the number of accounts we create and manage over time. 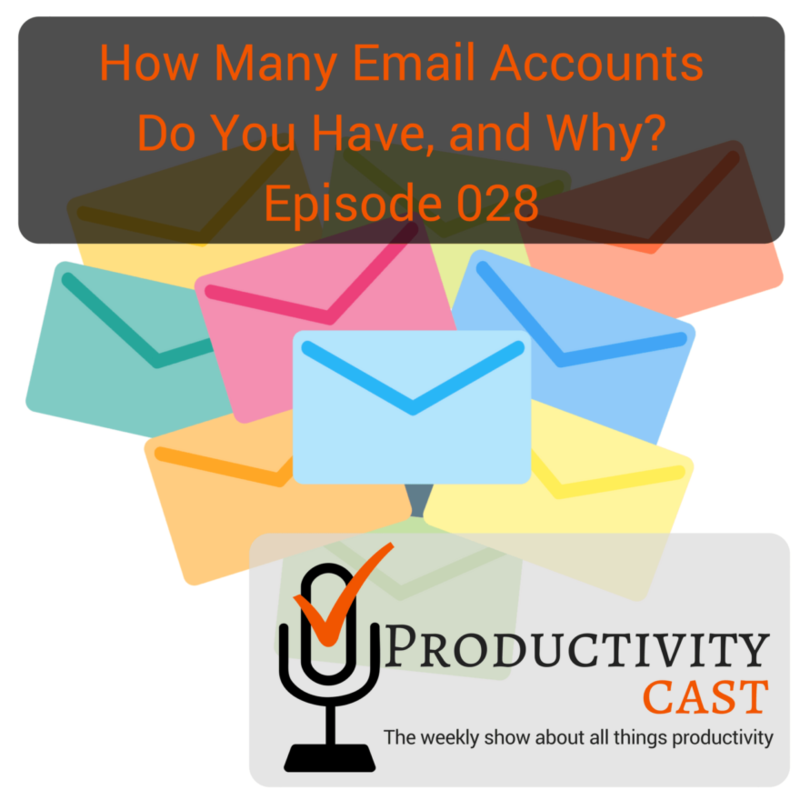 In this episode, the ProductivityCast team discusses how many email accounts we have, and the purpose of each email account in our productivity systems. Enjoy! Give us feedback! And, thanks for listening!